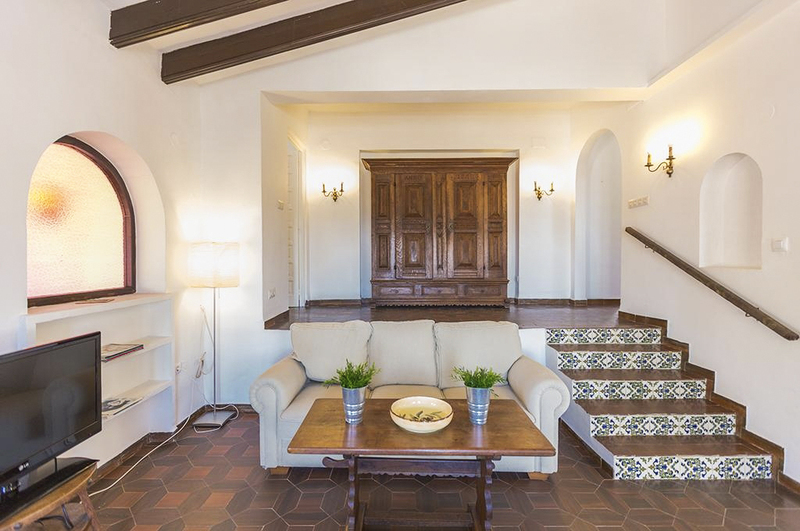 Villa Danilo is a charming country house, nestled amongst hills between Benissa’s coast and the ancient town centre, fifteen minutes inland. You’ll fall in love with it before you even step inside. White-washed walls surround the generous gravel garden, which wraps all the way around the back of the house, and the stone-edged terraces are dotted with palms and Mediterranean plants. A wooden pergola covers a double swing seat; an idyllic spot for escaping the afternoon sun, pre or post-siesta. 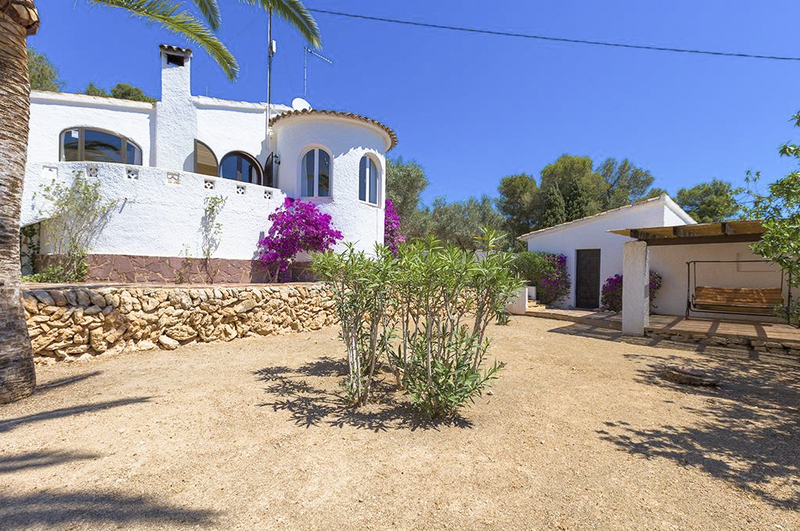 The sun loungers, barbecue and welcome pockets of shade make this a perfect outdoor space for relaxing and soaking up the sun during your holiday on the Costa Blanca. The stone staircase leads you up to the first-floor entrance. 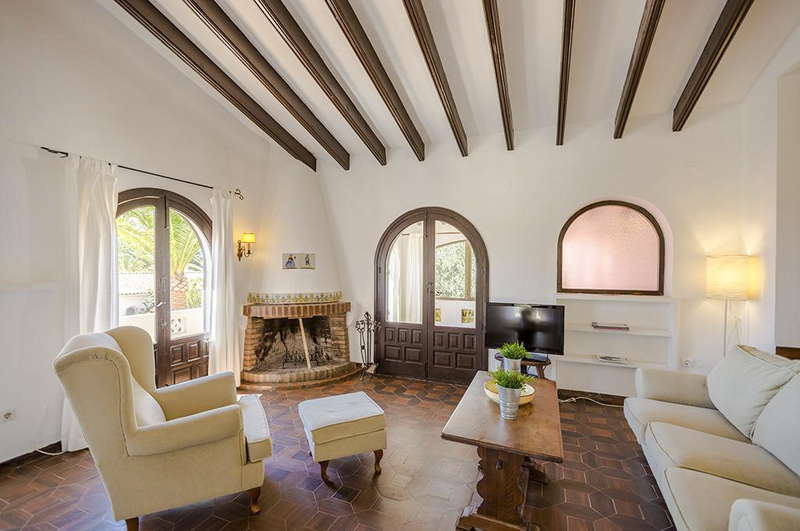 Inside, the cooling white walls and beautiful terracotta floor are the perfect foil for the rustic details of the authentic Spanish décor. 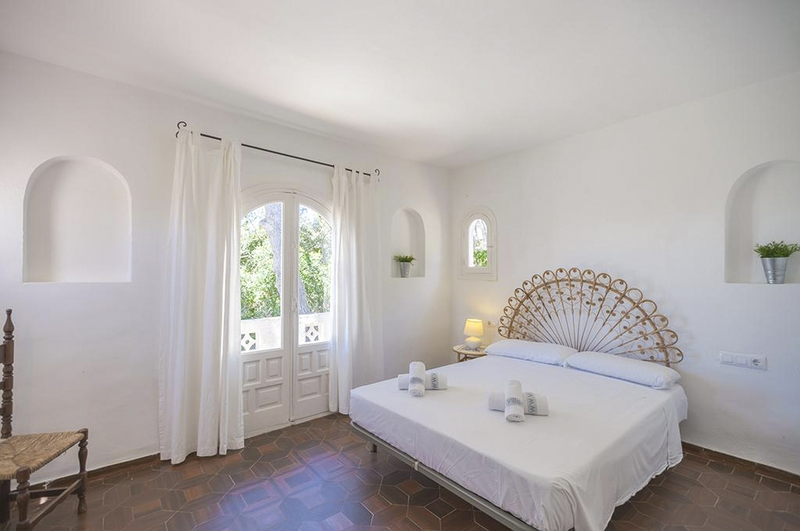 Each room features pleasing arched doors and windows which flood this delightful house with light. 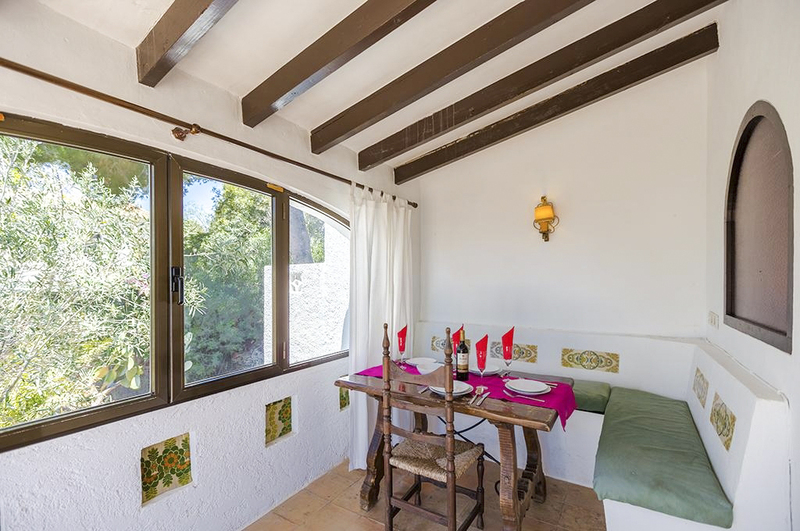 A bright and airy breakfast room adjoins the kitchen and the dining room has a Spanish taverna feel, with exposed beams, tiled benches and beautiful view. Villa Danilo oozes character. The sunken lounge has a wood-burning fireplace for out of season warmth, and the views from the windows stretch as far as the sea. 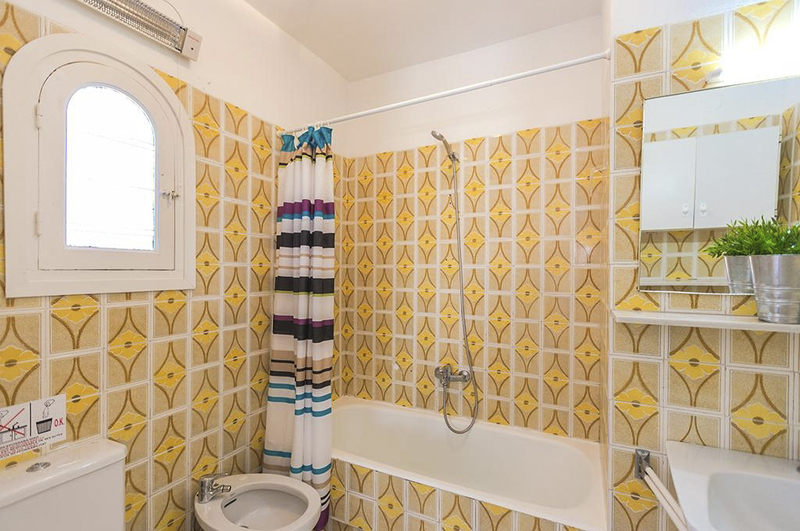 There are two double bedrooms, both en-suite. 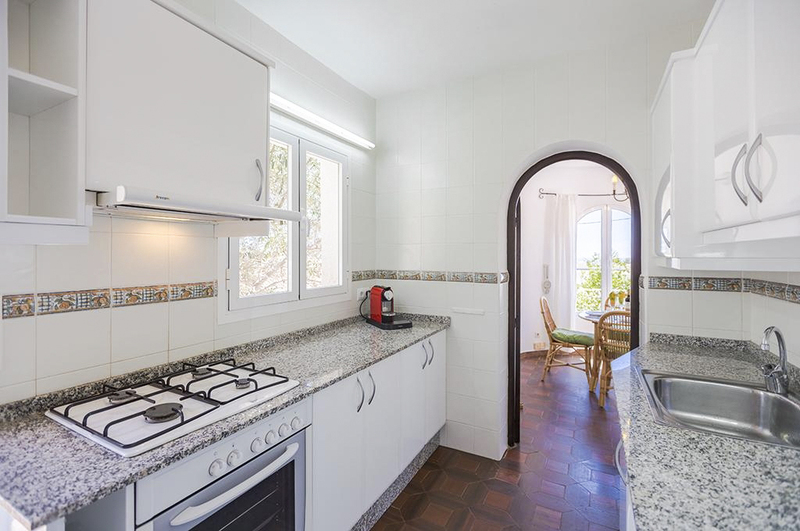 You are perfectly located for exploring Benissa and the area. Drive just a few minutes to the coast and discover Baladrar’s beach and rocky cove, or head inland to Benissa and its medieval town centre. Finding yourself in one of the world’s most temperate climates, you won’t be able to resist the locally grown produce available in restaurants and street markets. If you choose to dine in, Villa Danilo will provide the most delightful setting for your evening meal. You’ll just have to decide whether you eat al fresco in your Mediterranean garden, or in your very own taverna-like dining room. 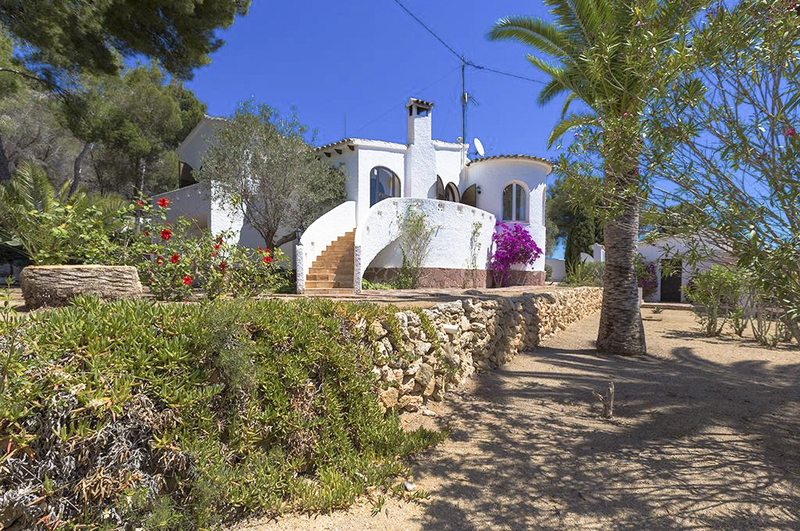 Beyond Villa Danilo, you’re only two kilometres from Cala Baladrar, your nearest pebbly beach and cove. Swim in the crystal blue water or treat yourself to a snack at the beach-side tapas bar. Along this pretty stretch of Costa Blanca coastline, there are a number of other small, rocky coves to explore but if you’re after golden sandy bays, go south to find Playa de la Fustera or Playa de la Fossa. The bustling tourist hotspot of Calpe is within half an hours’ drive. Here, like most towns along Benissa’s coast, you’ll find a marina with fabulous seafood restaurants, pavement cafes and water sports. If you decide to sample local cuisine, they have a number of variations on Valencia’s classic Paella – Arros de senyoret is rice and seafood and Arros a banda is rice cooked in fish stew. Fifteen minutes inland from Villa Danilo you have Benissa; one of the oldest and most popular towns on the Costa Blanca. The renovated town hall, market square, winding narrow streets and quaint houses are fascinating to walk around. Look out for Moorish influences in the buildings and enjoy browsing shops selling local produce and gifts. The views from the steep roads back to Villa Danilo will take your breath away. Make sure you pull in at one of the vantage points to admire them. As you travel down through the valley, you’ll see orange, lemon, almond and cherry trees, vineyards and olive groves. Benissa’s abundant vegetation enjoys thousands of sunshine hours a year, pleasantly tempered by the cooling sea breeze. Simply fill in the concierge request form or contact Excellence Luxury Villas Concierge Team. Some properties will take credit card details used as guarantee, or a deposit will be required, returned after departure and a check of the property. This varies by property, most include it, others will levy a charge to be paid directly to them either on arrival or departure. Please enquire for details. This varies by property, some include it, others will levy a charge to be paid directly to them either on arrival or departure. Please enquire for details. Please check with us for each property. Most properties are non smoking inside. Most properties have a minimum stay of 7 nights, but not all. Most properties do have Wi-Fi, but do check with us if it is of vital importance. End of stay cleaning included? Cot & High Chair can often be provided, again some properties will supply these free of charge, others may charge. Many of the properties charge in Euros, so the GBP price quoted may fluctuate up or down, as you will be charged in GBP at the Euro exchange rate on the day of payment.